“This is more Australian than Alice Springs,” a fellow journalist remarks as we cut into our grilled kangaroo dinner at Coober Pedy’s Desert Cave Hotel. The words ring true. 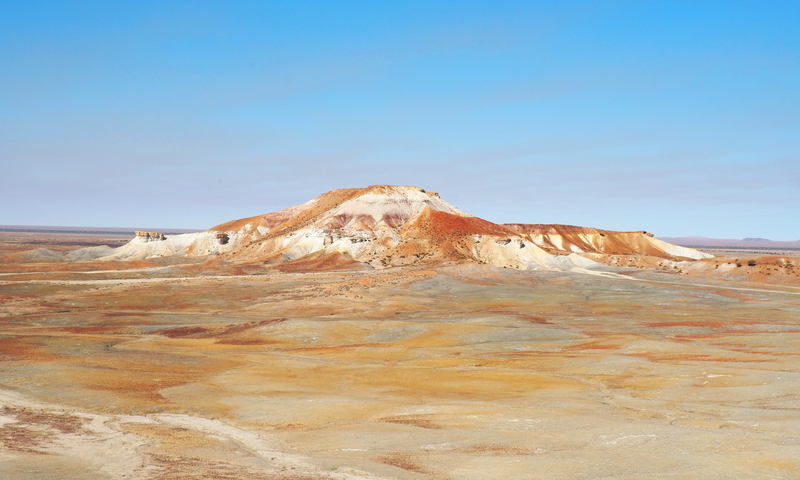 Compared to the more popular outback tourist places scattered across the Northern Territory, Coober Pedy and its surrounds retain a sense of disconnect and tranquillity in the face of the bourgeoning outback tourist industry. A nine-hour drive or two-hour flight from Adelaide lands you in a part of Australia where the land is burnt, bleeding and puckered with mineshafts that speak of the area’s rich history in opal mining. It’s strangely Mars-like yet familiarly Australian – a place where nothingness is the area’s most defining quality. I’m with a group of five journalists and a team of Holden engineers and public relations people. 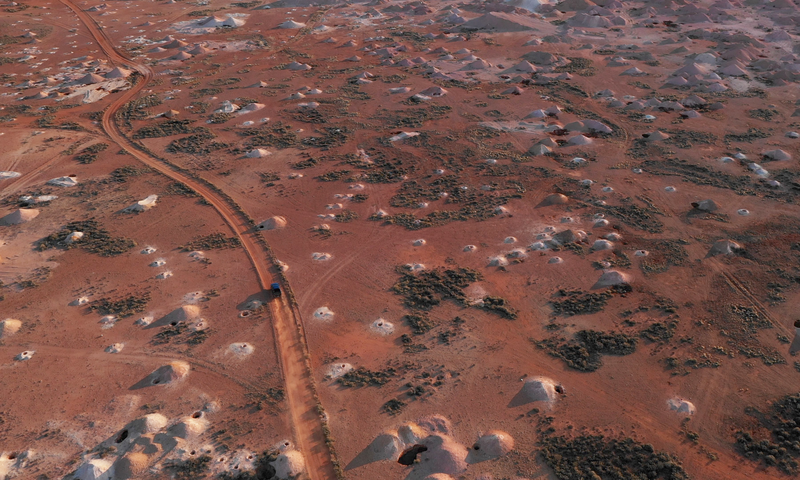 We are in Coober Pedy for an outback Colorado driving experience that favours a self-guided approach to uncovering the hidden gems of remote SA. 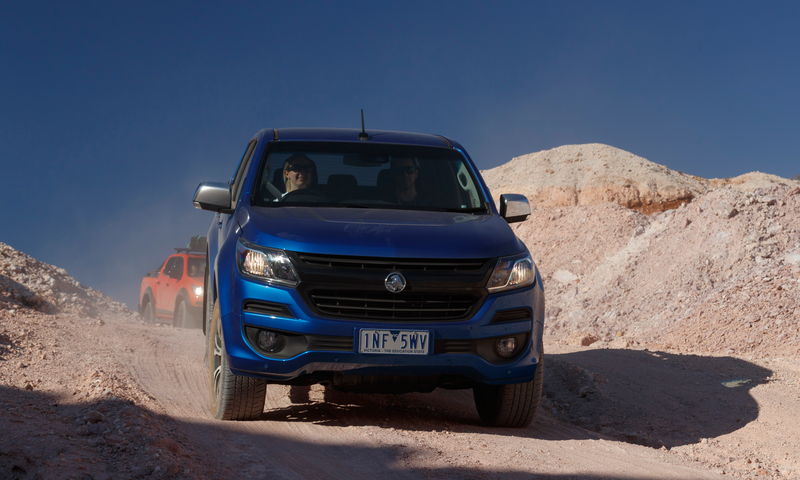 I am by no means an auto journalist, so my commentary on the Holden Colorado is limited to this: you will need a big, stable car to drive safely through outback SA and the Colorado is exactly that. 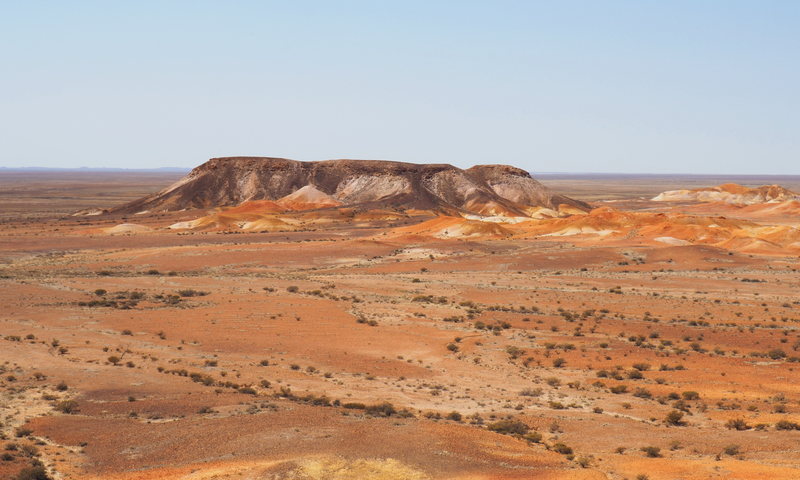 Apart from the main highways and the sealed roads in the centre of Coober Pedy, travelling through this part of the state is literally off the beaten track. 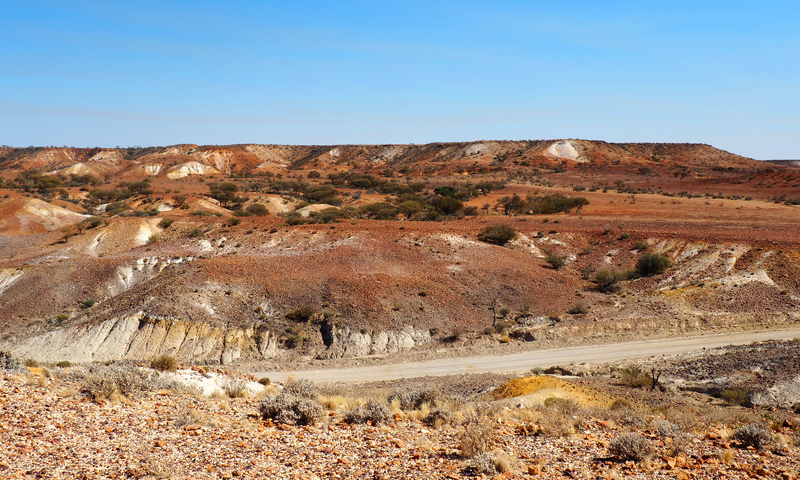 Our first pit stop is The Breakaways, 33km north of Coober Pedy. This is a sacred site for the Antakirinja Matuntjara Yankunytjatjara people, whose name for the area is Umoona or “long life”. The site was once submerged by water tens of thousands of years ago, but it’s now a rocky oasis in the middle of the desert – the flat-topped land formations a permanent reminder of where the sea level once rose. Tourist brochures recommend visiting The Breakaways at sunset, when the sandstone colours and silhouettes of the rock formations make for a brilliant portrait, but our visit coincides with midday, when a beaming sun highlights the swirling sand patterns and jagged edges of the rocks. The Breakaways is a nice entrée to the equally, if not more impressive Painted Desert, located halfway between Coober Pedy and Oodnadatta. Here you’ll come across rocky outcrops that suddenly emerge from the surrounding barren landscape. It’s easy to understand how it got its name – the juts and crevasses in the Painted Desert rock formations splash purple and black shadows across the yellowy-orange sandstone. As the sunlight shifts throughout the day, the colours of the rocks also change, rendering the desert an evolving artist’s palette of sorts. 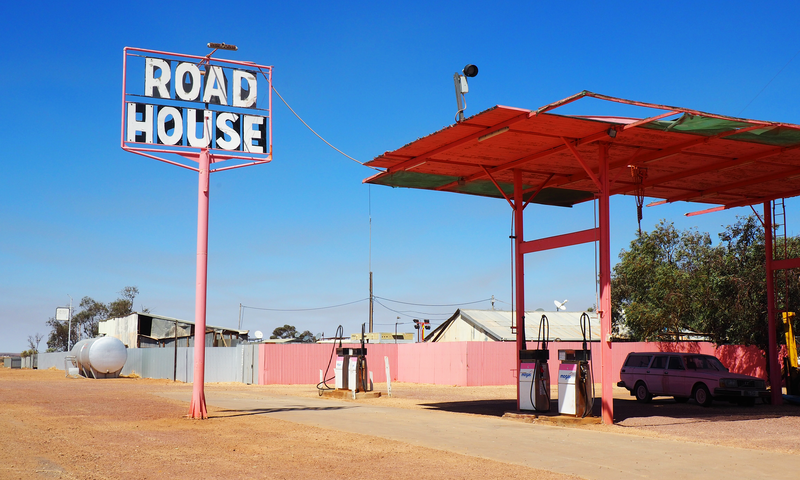 Continue driving 50km north-west of the Painted Desert and you’ll end up in Oodnadatta, a town most famous for its Pink Roadhouse and its claim to be “the driest town in the driest state of the driest continent”. 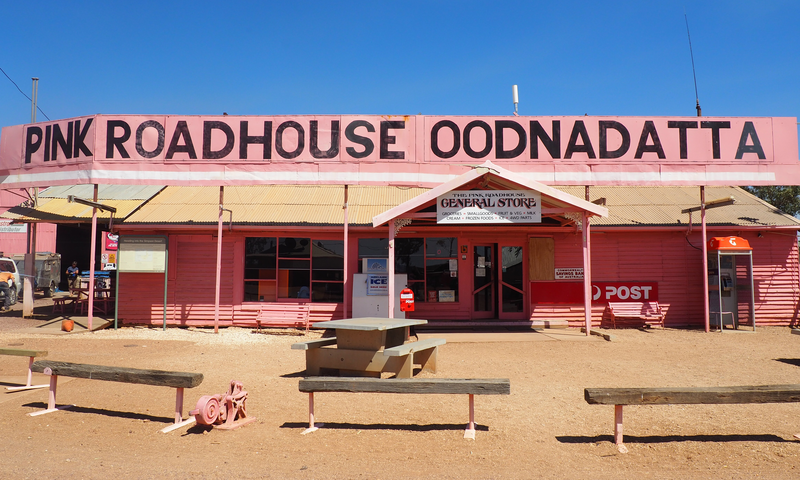 Founded in 1978, the Oodnadatta Pink Roadhouse was originally a motorbike repair business, but it slowly evolved into Oodnadatta’s hub for general roadside assistance, mail deliveries, groceries and hot meals. And it’s painted entirely in pink. The roadhouse proudly boasts an impressive collection of rustic memorabilia, canoe hire and a toll-free phone (trust me, with reception so hard to come by this far out, a landline phone is definitely something to brag about). The outback spirit is truly alive in this local joint. 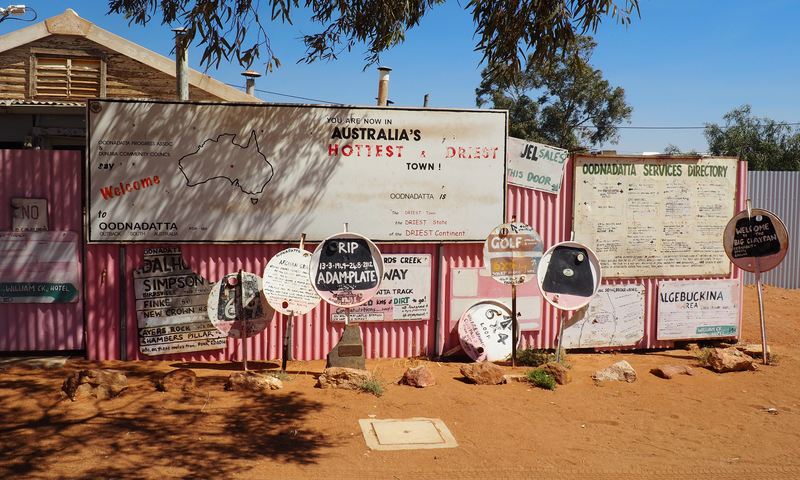 Back at our home base of Coober Pedy, the oddities of outback life emerge in the form of a Hollywood-like sign hoisted on top of a hill towering over the town and the more peculiar “waffles and gems” café just below. My tip for Coober Pedy is to avoid the multiple opal stores and museums (visiting the display at the Desert Cave Hotel should suffice for all your opal education needs) and head direct to the mining fields. With permission from local miners and a safety check, we navigated our convoy of Colorados across the puckered ground – narrowly missing the mine shafts to descend underground into an abandoned mine. As someone accustomed only to driving my 2001 Volkswagen Golf through metropolitan Adelaide, this was a big ask. Put simply, I was terrified. But there’s something very liberating about driving off-road and in the end my endurance was rewarded with a much-appreciated couple of beers, enjoyed in the cool, dark crevice of the cave-like mine. Mines like these are common around the outskirts of Coober Pedy, but often require authorised access. It’s best to check first before trespassing on (or indeed falling down) someone’s mine. For me, the real lottery jackpot is not the promise of opals but the flat, barren desert. Driving across this rouged land, barren as far as the eye can see, you really get a sense of how diverse our state is. This is not some tourist trap, this is real outback Australia. 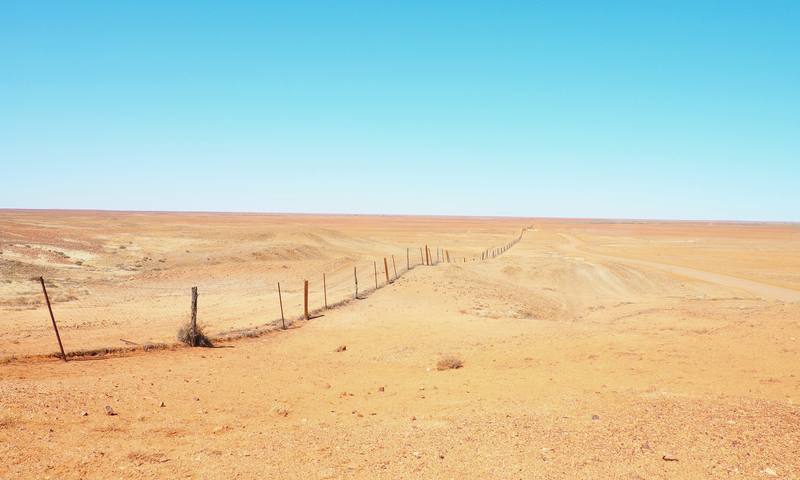 Getting there: Coober Pedy is around a nine-hour drive from Adelaide. 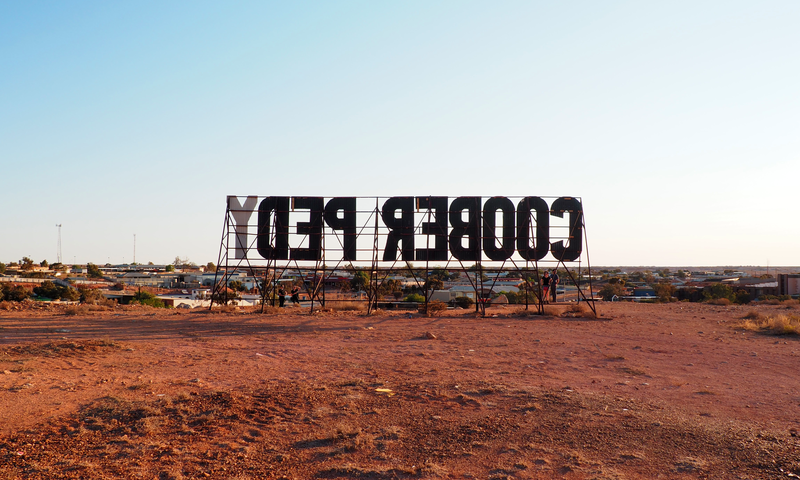 Regional Express Airlines offers flights from Adelaide to Coober Pedy, starting at $600 return. Staying there: The Desert Cave Hotel offers underground rooms to help escape the scorching heat. Prices start at about $200 a night. The writer travelled as a guest of Holden Australia.